23/05/2018 · I’d say ‘I wish I had these right now’ but I’ve eaten a whole large Pizza Hut and I want to die. 🍕 BUT if you haven’t recently over eaten to the point of physical pain, make these right now – the recipe is on the blog.... Make pastry and line tin, blind bake. Let go cool to cold. Spread pastry with jam. Melt margarine, sugar and syrup. Pour over cornflakes and mix gently. 1/06/2011 · right i need to make cornflake tart and have everything but golden syrup with me - isit possible to make it without golden syrup or will i have to go and get it? this is the recipe i'm using: Shortcrust Pastry 6oz/180g flour 3 oz/80g butter (original recipes says half margarine, half lard… I stuck with butter!) 1floz how to make tartar sauce with miracle whip Instructions. Rub butter and flour together. Add enough water to make a dough. Chill. Push into whatever tin you'd like. Blind bake at 170C for 20 minutes. Lay it over a 25cm/9” fluted tart tin and gently push the dough into the corners. Remove the excess pastry and chill the tart in the freezer for 15 minutes. Remove the excess pastry and chill the tart in the freezer for 15 minutes. 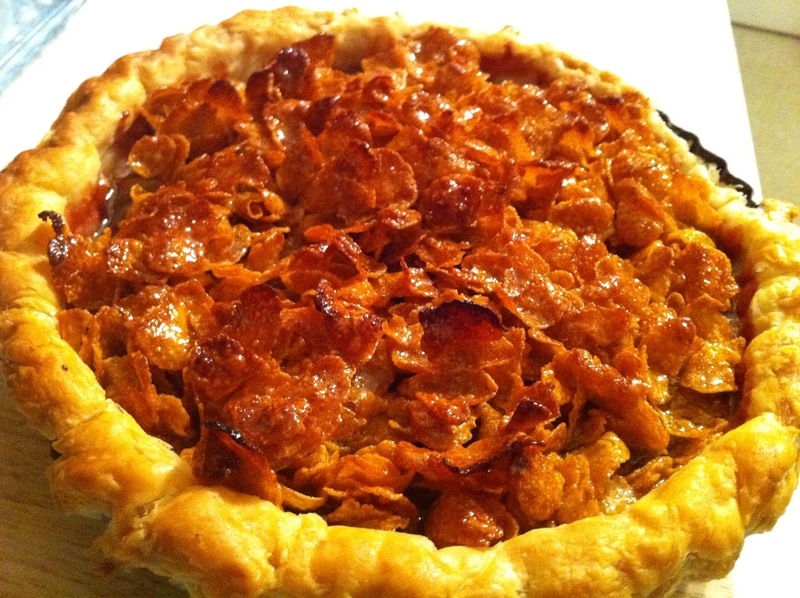 Mix together the golden syrup and corn flakes, them pour into the pastry case and push down with the back of a spoon so it sticks together firmly — this will make it extra gooey. Allow to set, then serve.